Hello Christine! What about icing sugar? It's really fine too. Thank you very much for all your recipes and your dedication to good food! I so admire you!!! "用小刀在中央輕割一直線", does that mean cutting a line from left to right just on the surface? or if not how deep should I cut? And thanks for the "warning" of "很難停下來" but it looks very delicious, yum!! Glad that you loved my recipe. Yes, exactly what you said of how to cut. By cutting a line in the middle, you'll get a beautiful crack on the surface. No need to cut too deep, just about 0.5cm or so in depth. Can I use self raising flour instead of cake flour? Thanks. We don't have cake flour in UK, could you recommend a replacement? I would really love to make this cake, it just brings back all the memory! It worked really well! The cake was delicious! Thanks Christine! 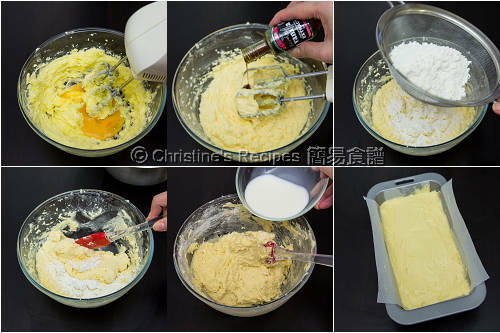 can replace cake flour with self raising flour? What kind of milk should I use? Hi Christine, had made this cake last weekend. It taste fabulous! Thank you! 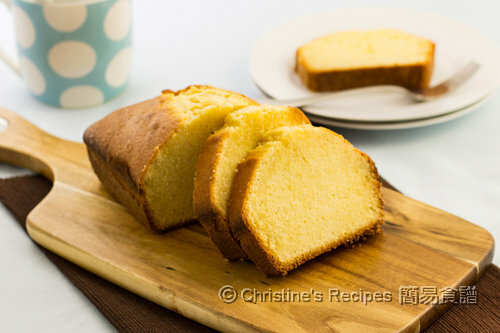 Is it possible to make marble pound cake too? Sure, you can. Just mix in some cocoa powder into half of the batter. Hi, I followed your recipe and made this last week and it taste fantastic! 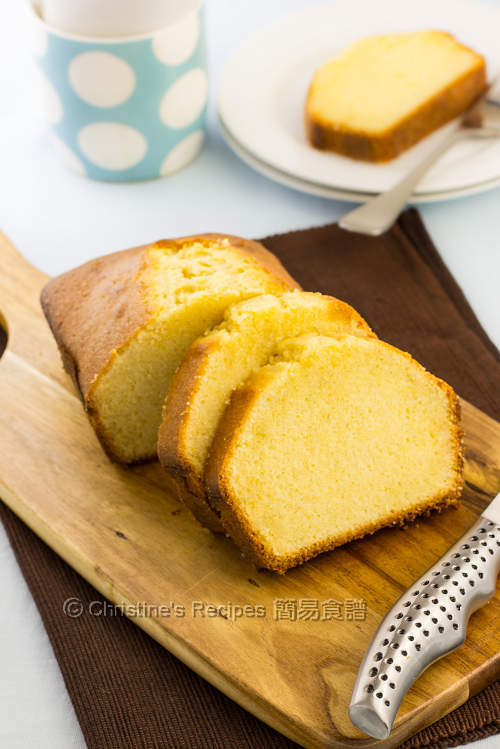 May I know whether is it possible to make marble pound cake too? How much cocoa powder should I put into the recipe to make marble pound cake? If I add it, you say only use half of the recipe? Thank you very much. How much cocoa powder should I put into the recipe to make marble pound cake? You say, only put the cocoa powder into HALF batter (recipe)? Thank you very much. can i use steam method ? oven is use upper & lower heat or just upper? 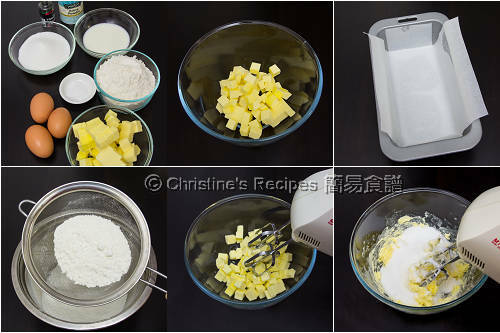 hi Christine... My oven is spoiled, but I want to make the butter cake for dad as his birthday cake. Can i use steam method to replace baked method? You can, but have to skip the baking powder. The texture of end product will be a bit different though. Hi Christine, I followed up your recipe to prepare this cake and taste delicious. But how to keep its taste if eating it next day. I find that it is not good after putting it in refrigerator.